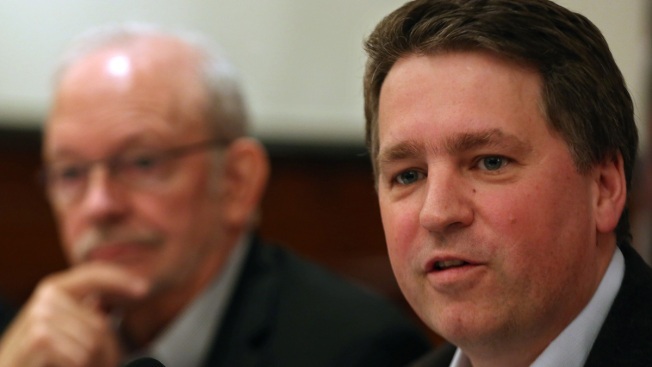 In this March 15, 2014 file photo, UNICEF deputy Justin Forsyth, right, speaks during a joint press conference. A top UNICEF honcho has resigned following revelations that he reportedly peppered female staffers — at the children’s charity that previously employed him — with “unsuitable and thoughtless” messages. Forsyth, who worked at the United Nations Children’s Fund for two years, did not divulge what “mistakes” he made at Save the Children.